Charles-Camille Saint-Saëns (French: [ʃaʁlkamij sɛ̃sɑ̃s] ; [n 1] 9 October 1835 –16 December 1921) was a French composer, organist, conductor and pianist of the Romantic era. 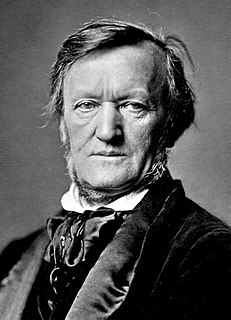 His best-known works include Introduction and Rondo Capriccioso (1863), the Second Piano Concerto (1868), the First Cello Concerto (1872), Danse macabre (1874), the opera Samson and Delilah (1877), the Third Violin Concerto (1880), the Third ("Organ") Symphony (1886) and The Carnival of the Animals (1886). The Introduction and Rondo Capriccioso in A minor, Op. 28, is a composition for violin and orchestra written in 1863 by Camille Saint-Saëns for the virtuoso violinist Pablo de Sarasate. The Piano Concerto No. 2 in G minor, Op. 22 by Camille Saint-Saëns was composed in 1868 and is probably Saint-Saëns' most popular piano concerto. It was dedicated to Madame A. de Villers. At the première, the composer was the soloist and Anton Rubinstein conducted the orchestra. Saint-Saëns wrote the concerto in three weeks and had very little time to prepare for the première; consequently, the piece was not initially successful. The capricious changes in style provoked Zygmunt Stojowski to quip that it "begins with Bach and ends with Offenbach." L'église de la Madeleine is a Roman Catholic church occupying a commanding position in the 8th arrondissement of Paris. The Madeleine Church was designed in its present form as a temple to the glory of Napoleon's army. To its south lies the Place de la Concorde, to the east is the Place Vendôme, and to the west Saint-Augustin, Paris. Haute-Marne is a department in the northeast of France named after the Marne River. Camille-Marie Stamaty was a French pianist, piano teacher and composer predominantly of piano music and studies (études). Today largely forgotten, he was one of the preeminent piano teachers in 19th century Paris. His most famous pupils were Louis Moreau Gottschalk and Camille Saint-Saëns. 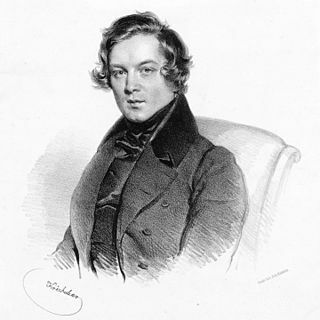 Friedrich Wilhelm Michael Kalkbrenner was a pianist, composer, piano teacher and piano manufacturer. German by birth, Kalkbrenner studied at the Paris Conservatoire starting at a young age and eventually settled in Paris, where he lived until his death in 1849. For these reasons, many historians refer to Kalkbrenner as being a French composer. Harold Charles Schonberg was an American music critic and journalist, most notably for The New York Times. In 1971, he became the first music critic to win the Pulitzer Prize for Criticism. In addition, Schonberg reviewed mysteries and thrillers for The New York Times under the name Newgate Callender for nearly a quarter of a century. He also wrote a number of books on music, and one on chess. From Samson and Delilah . Sung by Enrico Caruso in 1916. ↑ Although French-speaking musicians and intellectuals often still use the traditional pronunciation without "s" at the end ( [sɛ̃sɑ̃] ), the pronunciation with "s" is now very common in French, even among radio announcers. Saint-Saëns himself wanted his name to be pronounced like that of the town Saint-Saëns, which was pronounced without "s" at the end until about 1940–1950 in accordance with the spelling without "s" that was in use until about 1840–1860, as explained by Claude Fournier in his history of the town. The diaeresis on the e dates from a time when the e was not silent, but the diaeresis no longer affects the pronunciation of the name(s) because the e is silent, as in the name Madame de Staël, for example. Paul Marie Théodore Vincent d'Indy was a French composer and teacher. André Charles Prosper Messager was a French composer, organist, pianist and conductor. His compositions include eight ballets and thirty opéras comiques, opérettes and other stage works, among which his ballet Les Deux Pigeons (1886) and opéra comique Véronique (1898) have had lasting success; Les P'tites Michu (1897) and Monsieur Beaucaire (1919) were also popular internationally. The Société Nationale de Musique was an important organisation in late 19th/early 20th century France to promote French music and to allow young composers to present their music in public. The motto was "Ars gallica". The Symphony No. 3 in C minor, Op. 78, was completed by Camille Saint-Saëns in 1886 at what was probably the artistic peak of his career. It is also popularly known as the Organ Symphony, even though it is not a true symphony for organ, but simply an orchestral symphony where two sections out of four use the pipe organ. The composer inscribed it as: Symphonie No. 3 "avec orgue". Jean-Philippe Collard is a French pianist known for his interpretations of the works of Gabriel Fauré and Camille Saint-Saëns. The Symphony in D minor is the most famous orchestral work and the only mature symphony written by the 19th-century naturalised French composer César Franck. After two years of work, the symphony was completed 22 August 1888. It was premiered at the Paris Conservatory on 17 February 1889 under the direction of Jules Garcin. Franck dedicated it to his pupil Henri Duparc. Albert Louis Wolff was a French conductor and composer of Dutch descent. Most of his career was spent in European venues, with the exception of two years that he spent as a conductor at the Metropolitan Opera and a few years in Buenos Aires during the Second World War. He is most known for holding the position of principal conductor with the Opéra-Comique in Paris for several years. He was married to the French mezzo-soprano Simone Ballard. Jean Fournet was a French flutist and conductor. Marylène Dosse is a French-born American classical pianist. Jules Delsart was a 19th-century French cellist and teacher. He is best known for his arrangement for cello and piano of César Franck's Violin Sonata in A major. Musicologist Lynda MacGregor described Delsart as "one of the foremost French cellists of the period, with faultless technique, a precise bow and a sweet, though not large, tone." He was the owner of the 1689 'Archinto' Stradivari. Jules Massenet's Piano Concerto is a 1902 work for piano solo and orchestra. It is scored for a typical-sized ensemble of the time. The concerto was performed in 1903 by Louis Diémer at the Conservatoire de Paris. After the premiere, it quickly fell into obscurity and is seldom heard today. The Piano Quartet in E major, Op. posth., by Camille Saint-Saëns, also known as the Piano Quartet Nº.1 in E major, WoO, was one of the composer's earliest compositions for piano, violin, viola and cello. Completed in 1853, when he was 18 years of age, the quartet remained in manuscript until 1992. Frédégonde is an 1895 French opera in five acts with music by Ernest Guiraud, Camille Saint-Saëns, and Paul Dukas and a libretto by Louis Gallet based on Augustin Thierry's Récits des temps mérovingiens [Tales from the time of the Merovingians] (1840). Alain Pâris is a French conductor and musicologist. Wikimedia Commons has media related to Camille Saint-Saëns .